BrightBold had built a website for the Alliance in 2009, but by 2014 the site was in need of an upgrade and redesign. The Alliance wanted to move away from one-way communication with their constituents on their website and create more of an interactive community. The site needed to be streamlined and provide ways for constituents to deepen their engagement with the Alliance. BrightBold assisted with content strategy, helping staff reorganize content and cut out what wasn’t necessary. We built an easy-to-use content administration dashboard so staff can edit and manage content with minimal effort. 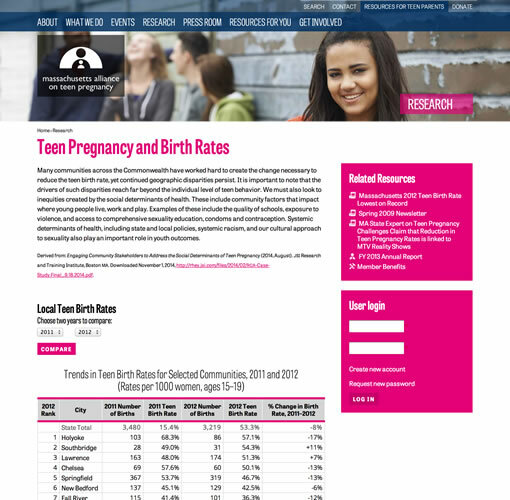 We added new features like an interactive birth data tool. And we gave it a modern design with great functionality on mobile devices. 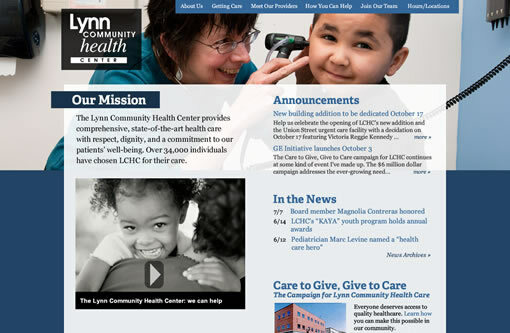 Lynn Community Health Center had a Drupal website but needed one with a more modern design that was easier for staff to keep updated. We upgraded their site to the latest version of Drupal and created a striking design using prominent photographs of providers and patients. We implemented new tools for content editors to make the experience of creating and maintaining content as simple as possible. 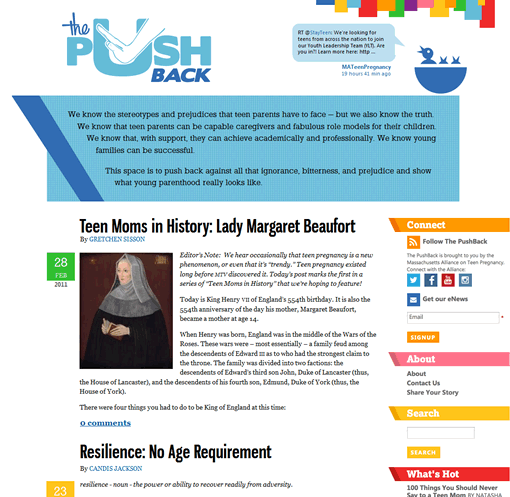 The PushBack, a multi-user blog aimed at raising awareness around teen parenting, needed an appealing, youthful design and features that would appeal to teen bloggers and their readers. BrightBold listened to what young people wanted in a blog design, and then created a site with bright, fresh colors; easy-to-read fonts; and clean graphics. We made it easy for bloggers and commenters to use, incorporating blogger profiles, links to related blogs, and a calendar for scheduling posts. We implemented a responsive design so that the site is easily usable from mobile devices. And of course we included social media integration with Twitter, Facebook, and YouTube. After Davio’s restaurants undertook a brand identity project to create new packaging for their line of handmade springrolls, it was important for their website to reflect their new image. They needed web specialists who could take the brand identity firm’s comps and turn them into a fully interactive site that integrated with the online services essential to their business. BrightBold used the latest webfont technology to enable the website to use same typeface seen on Davio’s products in stores. Then we made the site come alive with rotating photos, and we built connections to sites providing online reservations, event booking, 360° tours, e-mail marketing, and gift card sales. 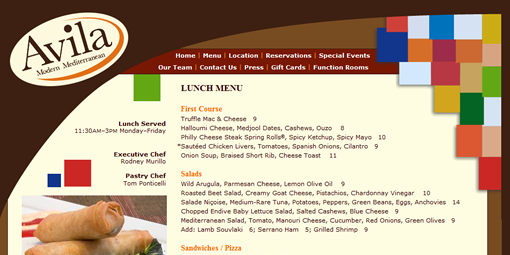 BrightBold also provides ongoing design and content updates and designs graphics to promote special restaurant events. 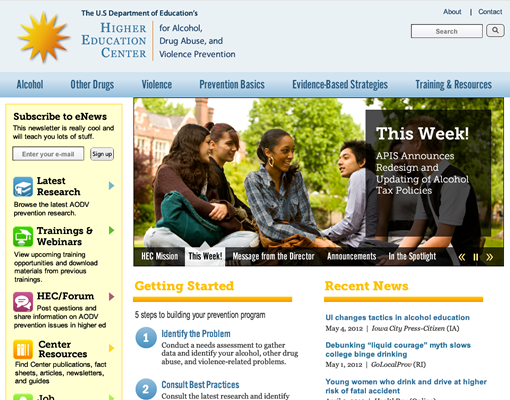 The Higher Education Center, a project of the U.S. Department of Education to reduce alcohol and drug abuse and violence on college campuses, needed an updated Drupal website to refresh their image and offer more engaging content to their site visitors. Working with the Education Development Center, BrightBold analyzed their key audiences’ needs and presented them with a dynamic new design and a homepage that allows both first-time and veteran site visitors to easily find the information they need. To ensure the site was equally accessible from smartphones, tablets, and other mobile devices, we used the principles of responsive design to alter the layout of the site based on the width of the viewer’s screen. 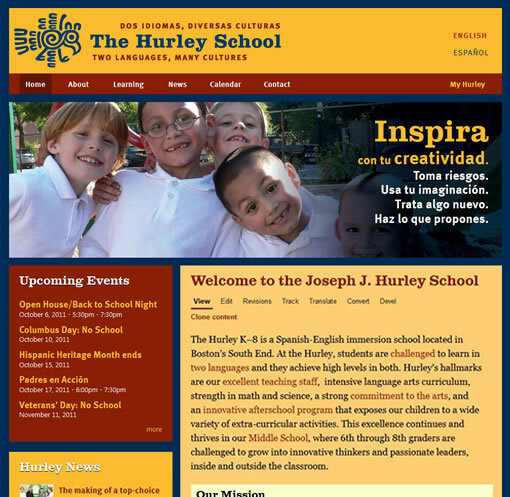 The Joseph J. Hurley School, a bilingual immersion K—8 school in the Boston Public School system, needed a website that was easy for teachers and parent volunteers to update, and that was equally accessible to English and Spanish speakers alike. Extending the design of the school’s printed materials, BrightBold created a site that reflects the dual-language, multi-cultural nature of the school. The public-facing part of the site contains information for prospective families, potential donors, and the press. Parents and staff can log in to the “My Hurley/Mi Hurley” area for information specific to their child’s class. Features include school-wide and class-specific calendars, parent forums, a resource library, a media gallery, parent notifications, and an area for middle schoolers to publish their web creations. To ensure that content is always fresh and up-to-date, we built the site on the latest version of the Drupal content management system, with a customized interface enabling parents to easily contribute content. 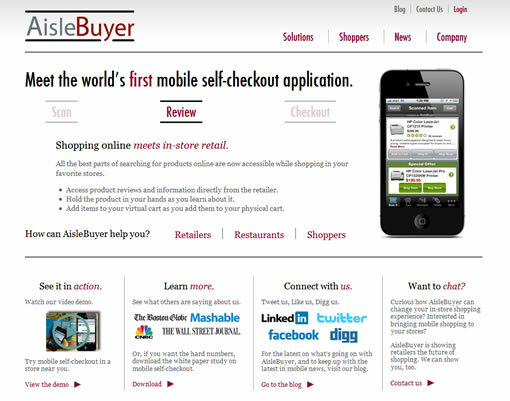 AisleBuyer, a rapidly growing company pioneering mobile self-checkout solutions, needed a website that accurately reflected the force they’ve become. Working with their in-house design and marketing team, BrightBold built a site the multi-million dollar company could be proud of. By upgrading their site to the latest version of the Drupal content management system, we were able to provide them with an interface that made it easy for their staff to create and update content, and lay the groundwork for integrating their WordPress blog into the site. Other features include social media promotion for their blog posts and news releases, integration with e-mail marketing, and lightbox pop-ups for forms and image details. Beacon High School is an alternative high school that was in need of a mainstream website. BrightBold transformed their site from a single page of clinical information to an engaging site for the whole school community, offering resources for students and parents. We created a fresh design to give Beacon its own identity, separate from its parent organization, and harnessed the power of Drupal to allow Beacon staff to easily update the site with new calendar items, recent news, key resources, and important announcements. 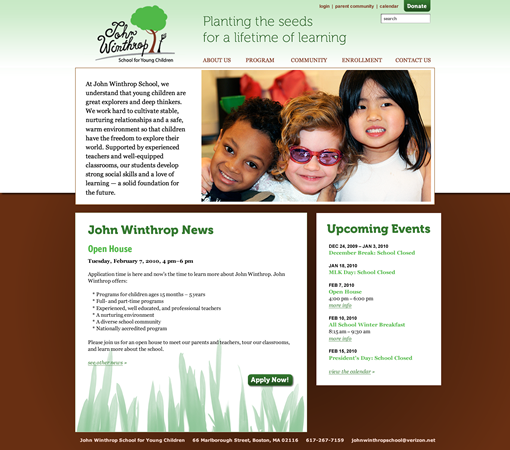 The John Winthrop School for Young Children was frustrated with a difficult-to-update site that appeared perpetually out-of-date. They needed the ability to change the content easily, and wanted to provide fresh and relevant information to current families and prospective parents. BrightBold built the school’s new site on a Drupal content management system, giving the staff complete control over the content. An eye-catching slideshow on the home page draws prospective parents in to learn more about the school, with news and upcoming events available at a glance. In 2012, the school wanted to extend the functionality of the site. BrightBold added a secure area for current families that enables parents to fill out required medical and enrollment forms online, places for volunteers to collaborate on fundraising projects and board activities, and online donation functionality. 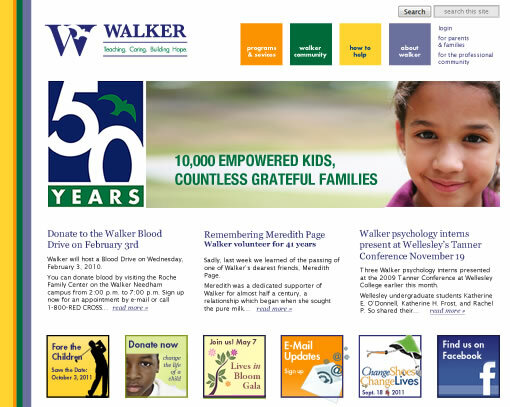 The mental health services and education organization Walker had a website that was extremely difficult for staff to update, so the content rarely reflected the breadth of the organization’s undertakings. BrightBold built a new site on the Drupal content management system, allowing for easy maintenance, and modified the existing design so it took better advantage of today’s larger monitors. We created a dynamic home page and landing pages for each section of the site that pull relevant content onto each page. Additional features include online donation processing, editorial workflow, calendar of events, staff portal, and a Friend of Walker blog. Satuit Techologies provides software and services for the asset management industry. As they continue to improve and expand their products, they needed a new application design that would be visually appealing, unite the family of products, and ensure the applications continued to be highly usable and easy to navigate. 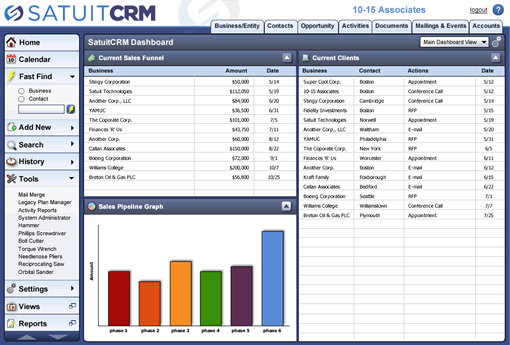 Starting with their flagship SatuitCRM software, BrightBold created a new design that incorporated their updated logo and balanced the display of large amounts of data with added visual flair. We used our UI experience to streamline navigation and ensure the most used features were easy to find. A unified color palette ensured that each product would be part of a cohesive family. 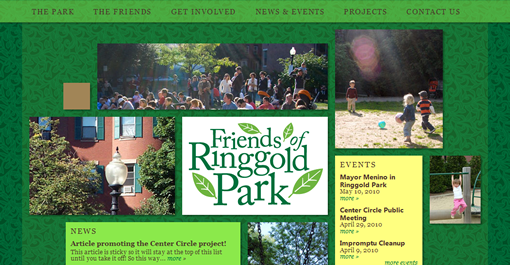 Friends of Ringgold Park needed a website to engage neighbors and park visitors, to publicize upcoming events, and which could be easily maintained by volunteers. BrightBold created a Drupal content management system with four seasonal designs. Site features include online donation processing, mailing list integration, RSS feed, and an events calendar. 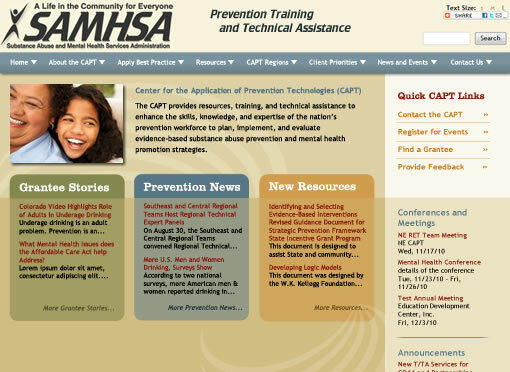 The Substance Abuse and Mental Health Services Administration (SAMHSA) needed a dynamic look for their Center for the Application of Prevention Technologies (CAPT) website, yet it was important that the design retain similarities with the other sites in the samhsa.gov family so it was clear CAPT is part of the SAMHSA parent organization. Working with a team of developers at the Education Development Center (EDC), BrightBold created a Drupal theme using the guidelines provided by SAMHSA while bringing new flair and distinctiveness to the design. At the same time, we ensured that the site conformed to Section 508 web accessibility standards, ensuring that people using assistive technologies have the same access to the site’s content as all other site visitors. Community Consulting Teams (CCT) pairs volunteer MBAs with non-profit organizations in need of expertise. 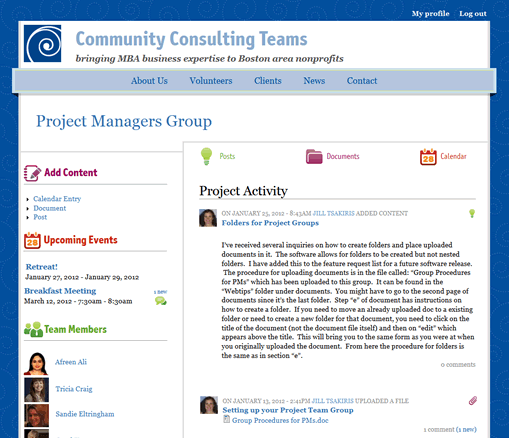 In the past, each project team had chosen their own method of communication, leaving the organization with no comprehensive record of their volunteers’ efforts. BrightBold created a Drupal 7 website that provides information about the organization’s mission and clients, allows interested volunteers to apply for project teams, and lets volunteer managers easily assign selected volunteers to the appropriate projects. We built collaboration functionality where each project team can upload documents, create calendar entries, and start discussions. At the conclusion of each project, CCT staff can flag the most important documents for future reference. Avila’s owners had worked with their designer on the look and feel they wanted for the restaurant’s new site but needed a web specialist to bring make the design a reality. BrightBold gave Avila a performance boost by replacing their old tables-based design with one using web standards, and added functionality for online reservations, event booking, e-mail marketing, and gift card sales. 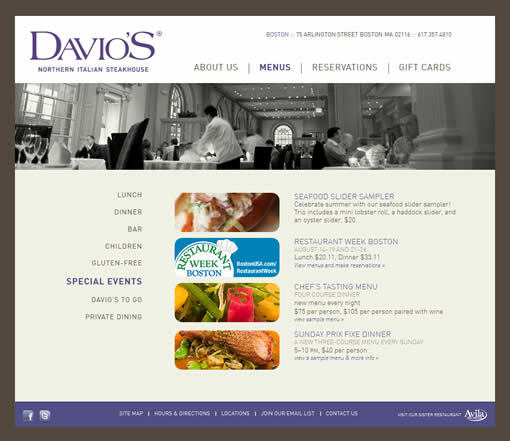 We also provide ongoing content updates and design banners to promote special restaurant events. 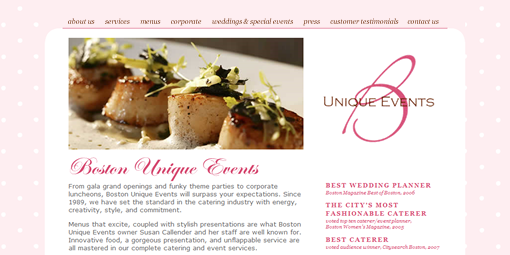 Boston Unique Events needed a design update to incorporate their new logo and to better show off the catering company’s offerings. BrightBold unified the design and the new logo, converted the site to modern CSS & XHTML, widened the content area for bigger impact on today’s larger monitors, and incorporated a photo slideshow introduction on the home page.